The Industry's Leading ANNUAL Leadership Conference to 'Focus on the Future'! The 2018 Annual ASC Leadership Conference will be held at the incredible Ritz-Carlton Golf Resort in Naples, Florida, October 15 - 17, 2018. Make plans to join us at this incredible resort for a top-to-top supply chain networking event to create value to senior management. The Annual ASC Executive Leadership Conference is a must attend annual leadership conference that delivers high value programming while delivering opportunities to connect suppliers to formulators. This 2-to-3 day event will bring together thought provoking speakers who will share their views on the future, allow time for one-on-one dialogue, peer networking, and learning new approaches to management issues. As the industry's top executives come together to engage with leaders and innovators we will together FOCUS ON THE FUTURE! View photos from the 2017 ASC Executive Leadership Conference HERE! ASC is proud to offer the special group rate of $219 single/double per night. Cut-off date for the group rate is 5:00pm ET Friday, September 21, 2018. Note: final rates are based on individual room selection and number of family/guests occupying the room. Join the industry's executives for a luxurious night aboard the Naples Princess, a new, 105 foot, 3-level luxury yacht. The Naples Princess provides the absolute best view of the alluring Naples, Florida backdrop and an outstanding culinary adventure on the water. Sponsored by: ChemQuest, Emerald Kalama, and Ingevity. CEOs, Senior Vice Presidents, Executive Vice Presidents, and Vice Presidents would benefit greatly from the focused leadership content, keynote speakers and speaker presentations, group discussions and C-Level networking that will take place at this important industry leadership event. As the industry's top executives come together to engage with leaders and innovators we will together FOCUS ON THE FUTURE together! Become a Sponsor for the 2018 Leadership Conference! 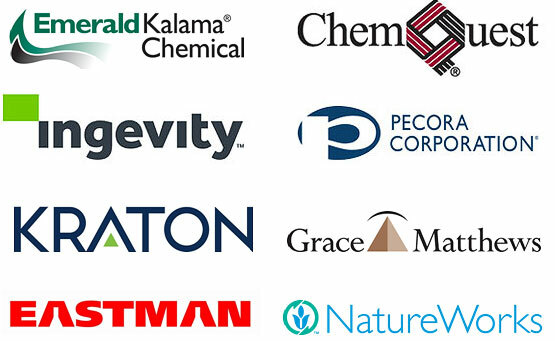 No other adhesive & sealant industry event gathers top executives all in one place each year. This is a unique and exclusive opportunity to be seen by decision makers. Contact Malinda Armstrong, Senior Director, Meetings & Expositions at malinda.armstrong@ascouncil.org (301) 986-9700 x106 to discuss and reserve your company's exclusive sponsorship!